President Donald Trump’s defence attorney John Dowd was the biggest roadblock standing in the way of an interview between the president and Robert Mueller, the special counsel leading the Russia investigation. Dowd’s resignation on Thursday indicates Trump is likely to agree to such an interview, which could yield new leads and bolster Mueller’s obstruction-of-justice case. Trump’s confrontational persona and mounting frustration about the investigation have prompted him to lash out at Mueller in recent days. John Dowd’s resignation as President Donald Trump’s lead defence attorney on Thursday may be the most significant victory in recent months for the special counsel Robert Mueller. Dowd was in charge of handling Trump’s communications with Mueller. He was also the member of Trump’s team most vocally opposed to a face-to-face interview between the president and the special counsel. Dowd and Jay Sekulow, Trump’s other defence attorney, had been working for months to sidestep or significantly narrow the scope of an interview with Mueller, out of fear that their client – who has a history of making misleading and exaggerated claims – could land himself in legal jeopardy. Trump, meanwhile, has reportedly been “champing at the bit” to talk with Mueller and recently hired Joseph diGenova, a controversial Washington lawyer and conservative media personality with the same take-no-prisoners approach to the Russia investigation. 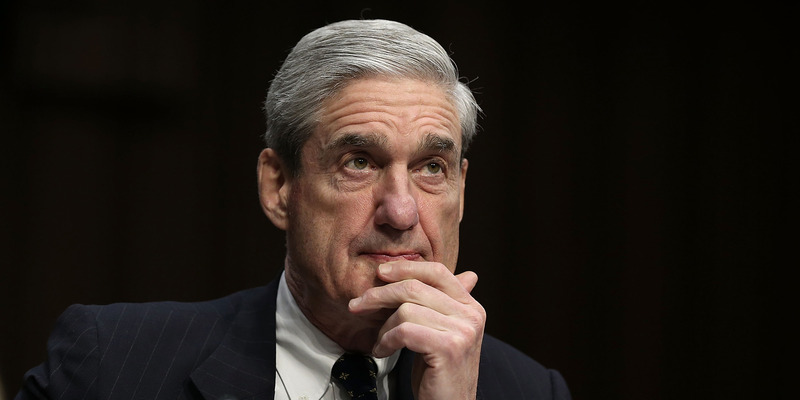 Legal experts said Mueller would most likely have succeeded in securing an interview regardless of any objection from Trump’s team. But they strongly urged caution on the president’s part in the event that he faces off against some of the country’s most skilled prosecutors. “The president is clearly the last, or one of the last people, an investigator would like to question,” said Jeffrey Cramer, a former federal prosecutor who spent 12 years at the Department of Justice. A source familiar with the matter told Business Insider on Thursday that Dowd resigned because he became increasingly frustrated that Trump was not following his advice about avoiding a sit-down interview with Mueller. With Dowd out of the picture and diGenova in the game, Trump seems poised to agree to an interview, which could yield massive leads for the special counsel, especially as it relates to the obstruction-of-justice case he has been building against the president since last year. Though the White House initially said Comey was fired because of how he handled the FBI’s investigation into Hillary Clinton use of a private email server as secretary of state, Trump later told NBC’s Lester Holt that “this Russia thing” was a factor in his decision. He also reportedly told two top Russian government officials that Comey’s firing had taken “great pressure” off him. Comey’s firing is one of four key events Mueller’s team wants to question Trump about. The other three are the firing of the national security adviser Michael Flynn, Trump’s role in crafting a misleading statement aboard Air Force One about his son’s meeting with two Russian lobbyists in June 2016, and Trump’s knowledge of the circumstances of that meeting, which was pitched as “part of Russia and its government’s support” for Trump’s candidacy. Trump’s lawyers said last year that the president did not know about the June 2016 meeting, while at least two former campaign and administration officials have indicated otherwise. And Mark Corallo, the former spokesman for Trump’s legal team, is said to have told Mueller that Hope Hicks, the White House communications director, may have hinted at concealing evidence from the Russia investigation during a conference call with Corallo and Trump aboard Air Force One. Trump’s knowledge of the circumstances surrounding the meeting and the firings of Comey and Flynn is likely to be of significant interest to Mueller. Following news of Dowd’s departure on Thursday, Trump told reporters he “would like to” testify before Mueller. Trump’s confrontational persona and mounting frustration about the investigation, as well as his view that Mueller and the FBI are undermining him, have prompted him to lash out at the special counsel in recent days. If he does the same during an interview, strays off script, or makes baseless statements, the consequences for him or his associates could be “tragic,” Cramer said.